PUNE: The conservation of protected wildlife species including the Indian grey wolf may run into trouble as the proposed airport project at Purandar gains momentum. Conservationists said wolves do not fare well after relocation.A forest department official said if biodiversity hotspots around the survey zone were affected, then the wildlife could be relocated to the Mayureshwar sanctuary in Supe around 15 km from the airport site.”Wolves move in packs and have an identified area where they settle. Their relocation could be a challenge considering as the forest department is not fully-equipped to handle such a process. Moreover, wolves do not take well to being relocated,” Mihir Godbole, a Wolf Gang member said. LANSING — Michigan’s 2014 wolf hunt law is unconstitutional, the Michigan Court of Appeals has ruled in an opinion released Wednesday.In a unanimous decision, a three-judge panel of the court said the law providing for a Michigan wolf hunt violates the “title-object clause” of Michigan’s constitution, which says “no law shall embrace more than one object,” and that object “shall be expressed in its title.”The court said a provision of the law allowing for free hunting, trapping, and fishing licenses for qualified members of the military is unconnected to the law’s object of providing for scientific management of game, fish and wildlife habitat. The entire law must be struck down, because it isn’t clear the law would have been approved if that provision had not been included, the court said. Finland’s recent announcement that it is planning to continue its policy of a managed wolf cull, provoked outrage among conservationists who say we can live in harmony with the animals. But can we? A Northwoods Senate Republican is again pushing to have states regain control of their wolf populations. And this time, he hopes to convince a leading Democrat to get on board. Senator Tom Tiffany of Hazelhurst says the federal courts and Congress need to stop what he calls “ping ponging” — moving Upper Midwest wolves on and off the federal endangered list as was done in recent years. Now, Tiffany and G-O-P state Representative Adam Jarchow want to enlist U-S Senate Democrat Tammy Baldwin to get behind their cause. Tiffany says other Democrats might follow along if they see Baldwin — who was just named secretary of the Senate’s Democratic Conference — support a delisting. 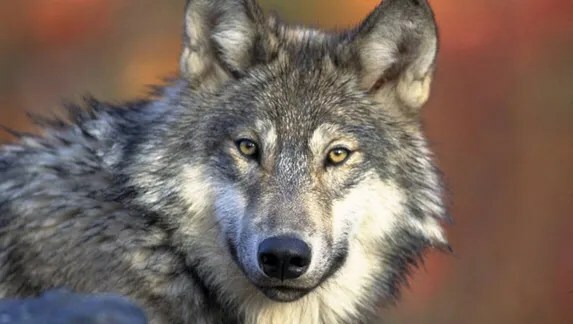 It would let the state approve the killing of wolves that damage farm crops and livestock, and it could bring back a hunting season that animal rights supporters strongly oppose. MEDFORD — State and federal biologists are setting out traps nightly in hopes of catching and collaring gray wolf OR-7 or his mate so they can regain the tracking capabilities that ­allowed the world to tag along on his long journey for a mate. Biologists are using padded foothold traps and baiting them with a foul-smelling concoction to capture one of the wolves so they can attach a GPS-emitting radio collar before heavy cold sets in. John Stephenson from the U.S.